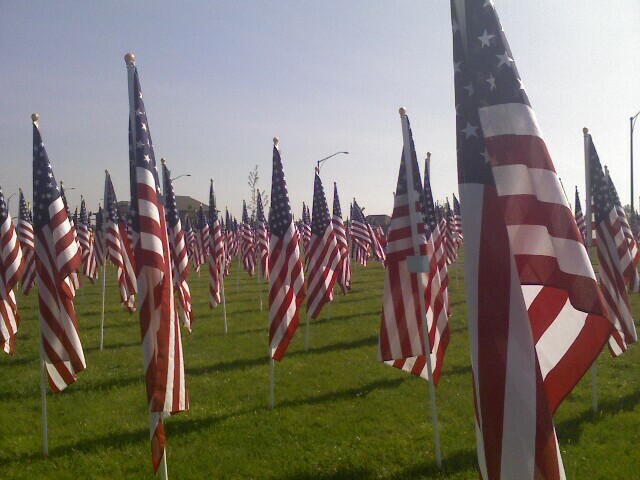 Westerville Field of Heroes is May 28th to May 30, 2011. There are 2500 flags this year and a special tribute for September 11, 2001. South-west corner of Cleveland Avenue and County Line Road. May 28th to May 30, 2011. There are 2500 flags this year. There is a special tribute for September 11, 2001 on the grounds this year. The first ceremony is at 9:30 this morning but there are events throughout the weekend. We went a bunch of times last year. It’s at the corner of Cleveland Avenue and County Line Road. You can’t miss it.